Blueprint Projects - PRIME AE Group, Inc. 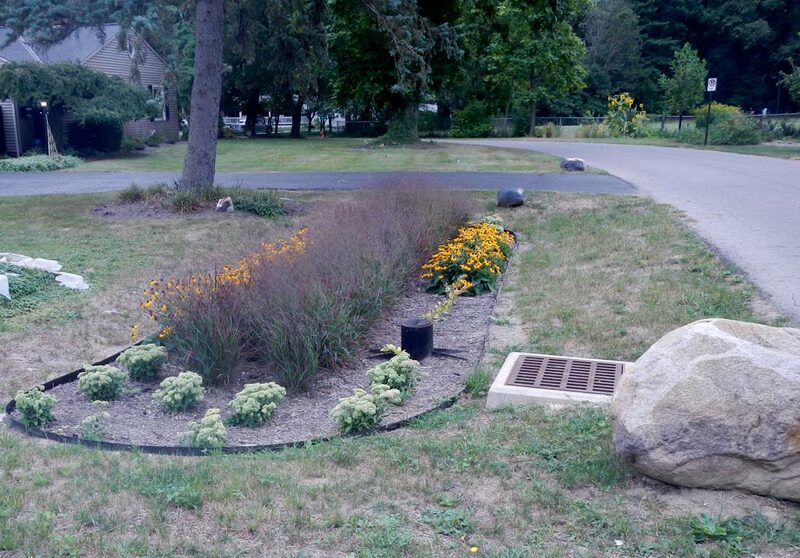 The Integrated Solutions Projects purpose is to analyze the study area (both residential and commercial properties) to establish if green infrastructure and inflow/infiltration controls could help meet future stormwater regulations. Another aspect is the examination of private property through the Columbus Land Redevelopment Office to see if abandoned/distressed parcels could be utilized for the implementation of green infrastructure. PRIME reviewed all records that had a bearing on the projects including flow data, record plans, stormwater reports, construction plans, and geographic information systems maps. Field work included delivering residential notifications and performing house-to-house data collection. 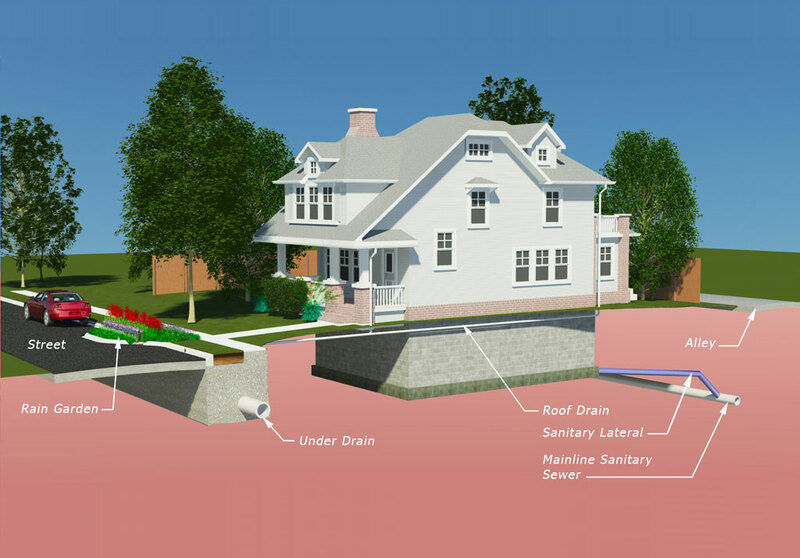 The collected data included downspout locations, downspout and sump pump discharge locations, lateral locations, gutter conditions, and other features relevant to the drainage of the property. PRIME designed and laid out storm sewer improvements for the Agler/Berrell, Palmetto/Westgate, and the Clintonville Cooke/Glenmont projects. 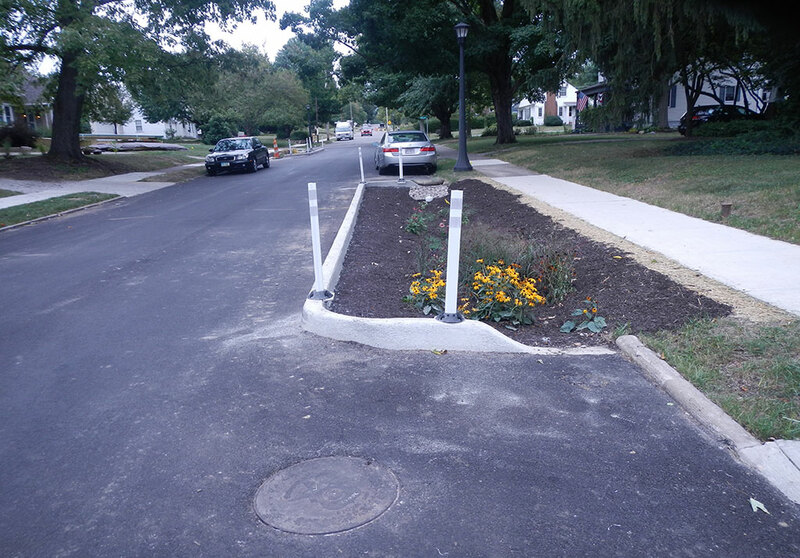 Solutions include bioretention basins, curb bump outs, rain gardens, porous pavement, lining private sewer laterals, and downspout diversions.